Just forty years after King James authorized the translation of the Scriptures into the English language, several Christians could be found in London, England who were politely refusing to be members of the Anglican state church. My maternal ancestor, John Donne, was Dean of St. Paul's Cathedral at the time. He, like all his fellow English religious and political leaders, held a dim view of those non-conformist Christians they falsely called Anabaptists. It is difficult for us Baptists in modern day America--we who who cherish personal liberty and freedom above all things--to even begin to comprehend the persecution that our Baptist forefathers in London, England experienced during the 1630's and 1640's. Any Christian deemed a traitor to England for refusing to baptize infant children, or any Christian determined to be a heretic for teaching doctrines contrary to official Anglican soteriology risked public execution in the courtyard of St. Paul's as a warning to fellow countrymen. 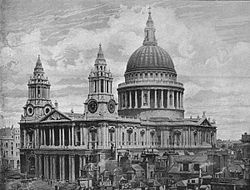 In 1641, those Baptists who were meeting in the seven congegregations within walking distance of St. Pauls were placed squarely in the spotlight of persecution. An English church and political leader published a pamphlet entitled A Warning for England, especially for London; in the famous History of the frantick Anabaptists, their wild Preachings and Practices in Germany. The pamphlet warned the English that the 1534/1535 Anabaptist rebellion in Munster, Germany could be replicated in London, England if the Anabaptists (meaning the Baptists) in London were not silenced. The last sentence of the pamphlet issued an ominous threat to those Baptists living in London at the time: "So, let all the factious and seditious enemies of the church and state perish; but, upon the head of king Charles, let the crown flourish! Amen." The leaders of the seven Baptist churches in London, England came together to discuss how they could make known to England's political and religious leaders that they were not heretics, nor were they Anabaptists, nor were they traitors to the crown. They decided to issue a confession of what they actually believed about salvation in order to refute the rumors. Their confession, published for all of London to read, became known as The 1644 Baptist First London Confession of Faith. This is my favorite Baptist confession of all time. It was written two years prior to the 1646 Presbyterian Westminster Confession of Faith and as such is untouched by Presbyterian ecclessiology or the English politics that resulted in the English Civil War. This 1644 First London Confession of Faith is lingquistically simple, supremely biblical, sweetly evangelical, and succinct when compared to later Baptist confessions. 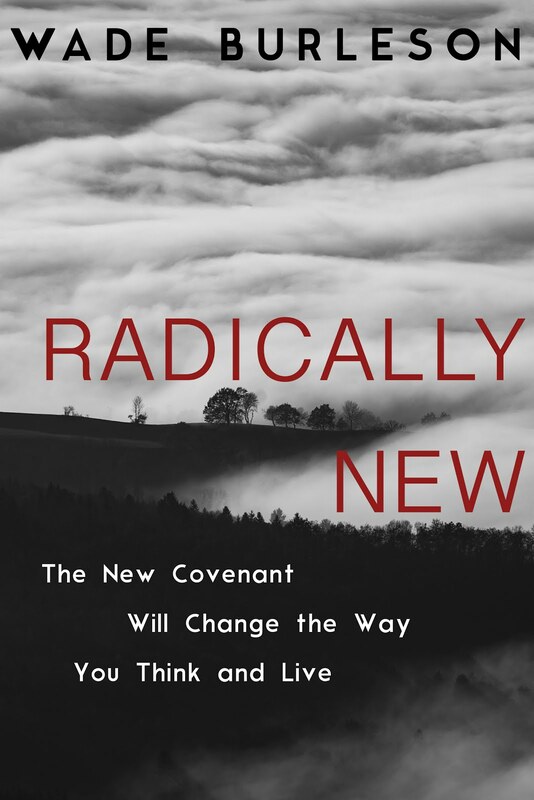 It brilliantly shows that the New Covenant is superior to the Old Covenant (a truth Presbyterianism misses), that there is equality among all Christians (a truth that is in direct opposition to clergy superiority and laity separation taught by Catholicism), and that the ordinances of baptism and the Lord's Supper are commandments of Jesus Christ (not "church" ordinances as later taught by Landmark Baptist churches who err in emphasizing "the authority the church" rather than the authority of Christ). In addition to the items mentioned above, three things stand out in the 1644 First London Confession of Faith that should speak clearly to any Southern Baptist who claims to know the historic traditional Baptist view of "God's Plan of Salvation." (1). The London Baptists disavowed any ties to Continental Anabaptists. This is seen in the title page where the Baptists wrote: ""The Confession of Faith, of those Churches which are commonly (though falsely) called Anabaptists." These London Baptists were NOT Anabaptist, did not wish to be known as Anabaptist, and disavowed any association with Anabaptists. Why is this important? 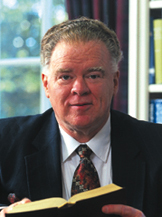 Dr. Paige Patterson wrote a book on Anabaptist Balthazar Hubmaier where advocates his Anabaptist theology. The seminary he leads, Southwestern Theological Seminary, regularly hosts conferences honoring Anabaptists. Interestingly, the children of European Anabaptists are Mennonites, General or Free-Will Baptists, and other Arminian evangelicals, not Southern Baptists. Though some Southern Baptist leaders today wish to identify closely with European Anabaptists, the early London Baptists of 1644 wanted nothing to do with continental Anabaptists. They considered the European Anabaptists unorthodox in their soteriology and other important theological doctrines, while maintaining sympathy for their ecclesiology and separation of church and state views. (2). The London Baptists thoroughly owned Calvinistic soteriology and repudiated Arminianism. Take a moment to read what these 1644 London Baptists believed and taught about original sin, election, particular redemption, effectual calling and the perseverance of the saints. 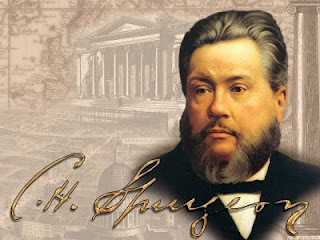 Those early London Baptists believed like most English and American Baptists of the 1600's, 1700's, and 1800's -- beliefs epitomized by the words of a twenty-two year old London Baptist preacher named Charles Spurgeon in 1853, "I am never ashamed to avow myself a Calvinist; I do not hesitate to take the name of Baptist; but if I am asked what is my creed, I reply, 'It is Jesus Christ.'" "If we give credit to this Confession and the Preface thereof, those who among us are branded with that title [i.e. Anabaptist], are neither Hereticks, nor Schismatics, but tender hearted Christians: upon whom, through false suggestions, the hand of authority fell heavy, whilst the Hierarchy stood: for, they neither teach free-will; nor falling away from grace with the Arminians, nor deny originall sinne with the Pelagians, nor disclaim Magistracy with the Jesuites, nor maintain plurality of Wives with the Poloygamists, nor community of goods with the Apostolici, nor going naked with the Adamites, much less aver the mortality of the soul with the Epicures and Psychophannichists: and to this purpose they have published this confession of Faith, subscribed by sixteen persons, in the name of seven Churches in London" (emphasis mine). Read the above paragraph carefully again. Featley is rightly telling his fellow Englishmen that the London Baptists were NOT doctrinal heretics based on their confession. However, he despised the Baptists as people and would later write his belief that they could not be believed. He wrote: "they cover a little rats-bane in a great quantity of sugar." Ratsbane is rat poison. Featley believed that the London Baptists could cover for their political and ecclesiological heresies with sweet theological writings that are Christian and orthodox. One wonders what Featley would say of the so-called 2012 Statement of Traditional Southern Baptist Understanding of God's Plan of Salvation which boldly and forthrightly denies original sin and proclaims free-will, the very things Featly calls heresy? It's one thing to cover rats-bane with sugar; it's altogether different to call rats-bane sugar. The self-proclaimed modern traditional Southern Baptists when compared to early London Baptists seem no more Baptist, no more traditional, and no more theologically orthodox than rats-bane is sugar. (3). The London Baptists gained influence in England throughout the late 1600's and America in the 1700's because the First London Confession of Faith was accepted as a statement of Christian orthodoxy. Stephen Marshall, a member of the Westminster Assembly, once again publicly attacked London Baptists in 1645 and called them heretics. However, the influential John Tombes replied by pointing to the First London Confession of Faith and publicly proclaiming the Christian orthodoxy of the Particular Baptists of London, England (source: John Tombes, Two Treatises and an Appendix to them Concerning Infant Baptisme (London: George Whittington, 1645), 31, 34. The statements are in the second treatise, entitled "An Examen of the Sermon of Mr. Stephen Marshal, about Infant Baptism, in a Letter sent to him). In closing, the current controversy within the Southern Baptist Convention needs to be understood within the context of Baptist history. I am a Bible-believing Baptist. I believe in Christian freedom, New Covenant superiority, gender and racial equality, congregational governance, and the grace of God in saving sinners through faith in the person and work of His Son Jesus Christ. I hold to the First London Confession of Faith. My creed is Jesus Christ, but I am a Baptist because I believe we Baptists have historically believed the Bible. Those Baptists who deny original sin, proclaim free-will and human works to obtain divine favor, and altogether deny historic Baptist soteriolocial principles are the ones who need to explain to the rest of us why indeed they have strayed from the was clearly, boldly and unashamedly proclaimed by our our London Baptist forefathers. 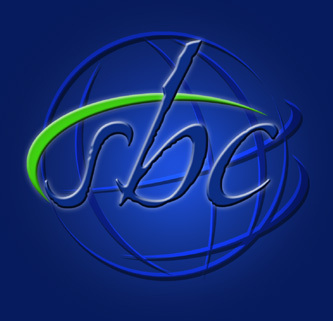 There's room in the SBC for Baptists who flirt with pelagianism and flout humanism. However, let it not be said they are either historic or traditional in their soteriological and theological views. They are neither. (Author's Note: I have been rightly called out on what I have written this last paragraph by Dr. Roger Olson. I repent. Rather than delete what I wrote, I have used the strike-through and linked you to my apology entitled Sometimes I Write Things that I Later Regret: An Example). ok...one possible correction...when I was at NOBTS I found Patterson's dissertation...I am pretty sure he wrote in on the soteriology of Dagg..my memory could be totally wrong but I am fairly sure of this.. Thank you, Anonymous. You are correct. I meant "book" and have corrected the word. Thanks for your comments. I am an early signer of the Statement. It is my view that it is consistent with both the Bible and the BFM 2000. I have yet to see a particular example cited from the document in which either are contradicted. Thank you so much for your cordial response. I believe the statement on original sin is a direct contradiction to both Scripture and the BFM. However, I can see how someone might believe the BFM's statement on original sin can be interpreted to be consistent with the paper. I do not necessarily disagree with what you are saying. That said, I think the problem with the paper is that it says FAR MORE than the BFM says and then tries to imply that what is said is the historic and traditional Baptist view. Wade, I am currently working on a thesis on this period of Baptist history. Please allow me to offer some critique of your presentation of the story. First, The pamphlet was aimed at Anabaptists not Baptists because Baptists didn't really exist yet. There were lots of different non-conformist movements in the air at this time (right before the English Civil War mind you). What came to be organized as Baptists were one of the major ones. However, I'm pretty sure Baptist was not a name they identified with willingly yet (I could be wrong on this point I don't have my books with me to double check). This early on they, like most non-conformists (including the continental Anabaptists), preferred to call themselves Brethren. Baptist, like Anabaptist, was originally a title placed upon them by their enemies. The pamphlet would have included not only the various Baptist and Separatist groups but also the Levellers. Second, Stephen Wright has shown in his book "The Early English Baptists, 1603-1649" that there wasn't a clear division between Calvinist and non-Calvinist Baptists in the beginning. There was actually a lot of intermixing since the choices for Baptist churches were so few. Eventually, the more Calvinist inclined Baptists found each other and began to congregate and network together. The First London Baptist Confession actually does not demonstrate that this separation from the General Baptists was complete yet if, in any sense, it could ever be said to be complete. Third, they did not actually disavow any ties to the continental Anabaptists, but to the stereotype that was being thrown around all of Europe about them for purposes of fear-mongering by the ruling elite. In fact they were definitely connected to the continental Anabaptists. As Glen Stassen has shown, the article on Baptism in the First London Confession is plagiarized word for word and verse by verse from Menno Simons' Foundation-book. Many other themes from the Foundation-book can be found in the First London Confession as well. This is made considerably more possible because the "first" Particular Baptist church sent Richard Blunt to Amsterdam in 1641/42 to learn about baptism (there is debate about whether it was from Anabaptists). Nonetheless what is known is that in the end Blunt spoke Dutch and the baptism article is plagiarized from a Dutch Anabaptist. I agree that the pamphlet was directed at more than just one group of separatist Christians. Point well taken. However, the Baptists took it as directed at them and wished to show their orthodoxy. I also don't necessarily disagree with your statement that Baptists were not CALLLED Baptists at the time, but my point is they WERE Baptists - as illustrated by their confession being later called The BAPTIST First London Confession of faith. Also, you write, "they did not 'disavor' any ties to continental Anabaptist, but to the STEREOTYPE that was being thrown around Europe (of Anabaptist)." Hmmm. Have to disagree here. There opening sentence clearly states they are FALSELY called ANABAPTIST.If they were concerned about stereoptypes they would have called themselves Anabaptist and corrected their persecutors misunderstandings. It seems obvious to me (from their own writings) that they were not so much interested in correcting stereotypes as they were distancing themselves from Anabaptists. You also mention Wright's book "The Early English Baptist" and say that from 1603 to 1649 there was an "inter-mixing" of them both with no clear division in the churches. ??? All I can say that if a General Baptist church could affirm the First London Confession of Faith they were no more General. Laughing. The General Baptists were CLOSELY identified with the Anabaptists, yes--my point is the London Baptists in 1641, from whom our Southern Baptist heritage sprouts (Philadelphia, Charleston, etc...) were all Calvinistic. I have never once mentioned the word "Calvinism" from my pulpit. Nor do I cherish John Calvin or consider him anywhere close to being as theologically erudite as the 18th Century English Baptists like Benjamin Keach, John Gill, etc... In other words, I care nothing for the stereotypes of Calvinism nor actual Presybterian Calvinism. But I LOVE our Baptist forefathers whose creed was Jesus Christ, who resisted organized religion, and who were white-hot evangelicals who made no compromise in blood atonement and God's amazing grace for unworthy sinners. Finally, wishing you the best on your thesis! We may disagree but I definitely admire you and your work in Baptist history! Wade, everyone labelled as Anabaptist was trying to get away from the stereotype. The Anabaptists did this too [see http://www.gameo.org/encyclopedia/contents/A533ME.html]. Menno wrote the Foundation-book to try and correctly represent the character of his followers and compatriots. What we today call Anabaptists, but did not themselves refer to each other as such, had already had a century's worth of experience trying to dissuade authorities from persecuting them through confession (often to little or no avail). Early Baptists and other non-conformists did the same thing. Remember, this is an era of extreme ignorance and prejudice. The ruling elite had the power to eliminate their enemies and using religious fear-mongering was a very common tactic. I've read articles on how the use of the fear of Anabaptism in England was used to great political advantage by authorities despite the reality of Anabaptist influence being next to nothing. Religious and political propaganda created the 'Anabaptist'. Only in the last century has Anabaptism really come to mean a theological tradition in a positive way. At the time there wasn't any real defense from the persecution. Writing confessions to try and dissuade the authorities was already a common Anabaptist practice, but could not halt the persecutions if the authorities were determined to eliminate them. Things were no different in England. Reading the First London Confession as a distancing from a particular theological tradition simply is not correct history. The only thing it was was the refutation of the label of heresy. Blake, the English Baptists were not Anabaptists. The writers of the 1644 London Baptist Confession were Calvinists. The Anabaptists believed in free-will salvation, just as Mennonites are 5-point Arminian today. The early English Baptists were definitely distancing themselves from the heretical theology of the Anabaptists. We just have a disagreement! I am saying emphatically the London Baptists were distancing themselves from the continental Anabaptists--and I am basing my judgment on THEIR writings! I am as firm in my belief I am correct in this as you are your belief. I guess we can ask them when we get to the other side! I likewise love the 1644 London Confession, but I strongly disagree with your interpretations of it. Let us look at the original writings of these early Particular Baptists. In 1646 Knollys wrote "The Shining of a Flaming Fire in Zion", in answer to Mr. Saltmarsh and his book "Smoke in the Temple" and explained what this article really meant. The quote above is from this work. Knollys declared that the English Baptists did indeed believe baptism was connected to the local church and only men who had been "tried", "chosen", "appointed" by a local Baptist church could baptize. This is exactly what conservative Baptists today believe. Like Menno Simons, like disliked the term "Anabaptists," but they never disowned the 16th century Anabaptists. Glad to hear from you once again, my Landmark Baptist friend! Always appreciate your comments and spirit! Knollys and the others came under intense criticism after the 1644 Confession regarding the lack of separation between laity and clergy (i.e. only 'the ordained' can dispense the ordinances). A few, particularly Knollys, wished to correct what they deemed a 'misunderstanding.' However, not all the Baptists who signed the 44 Confession agreed with Knollys and he did not speak for them - just as Landmark Baptists do not speak for all Baptists (though some would desire). Also, I have already said there was an affinity for the Anabaptists regarding ecclesiology, but these London Baptists had no room for the Anabaptist soteriology. I am far more concerned with orthodoxy in salvation than I am 'proper church ecclesiology' - and I think the First London Confession is brilliant in putting first things first! I believe that Patterson and others with a Texas pedigree (including some of my moderate Baptist brethren) have been overly influenced by William Estep on the Anabaptist connection. Patterson and the Caners especially have taken this connection to a whole nutha level, however. They've gone from a "kinship" or "influence" position to a "We are Anabaptists." My moderate friends have not gone in that direction because actual history is not on the side of Patterson & Company. With that said, the portrayal of Baptist history that you've presented here is overly simplistic. There has to be nuance due to the complexity of Baptist origins. First, Glen Stassen of Fuller did some great work a couple decades ago in the journal Baptist History & Heritage surveying the influence of Menno's Foundations on these London Baptists. His conclusion was that we Baptists have two parents - English Separatists and Dutch Anabaptists. Other historians have reached similar conclusions. Second, your history here does not deal with the influence of General Baptists - specifically Thomas Helwys and his "followers" - on early Baptists in America (including Roger Williams). From Helwys to Williams to Backus to the SBC's first president William Johnson, we can see a serious emphasis on free will/individual freedom. This freedom-focused theology led to what many scholars have dubbed the "Arminianization" of the SBC or "softening of Calvinism" among Southern Baptists. Surely we can agree that Baptists in the South in the early 20th century had done some serious soteriological "evolving" from the days of the 17th century English Particular Baptists. I do agree that there should be more of a focus on Baptist history. But a study of Baptist history is simply going to prove that our tradition has always been characterized by complexity and we Baptists have always been extremely diverse in our theology. There are indeed historic Baptist principles but I'm not sure there is a "historic" Baptist position with regard to soteriology - unless you are willing to kick Helwys and the General Baptists to the curb and completely ignore their influence on Baptists in America. I don't know of an actual Baptist historian that has done that though. I plead guilty to simplistic understandings of both theology and history. 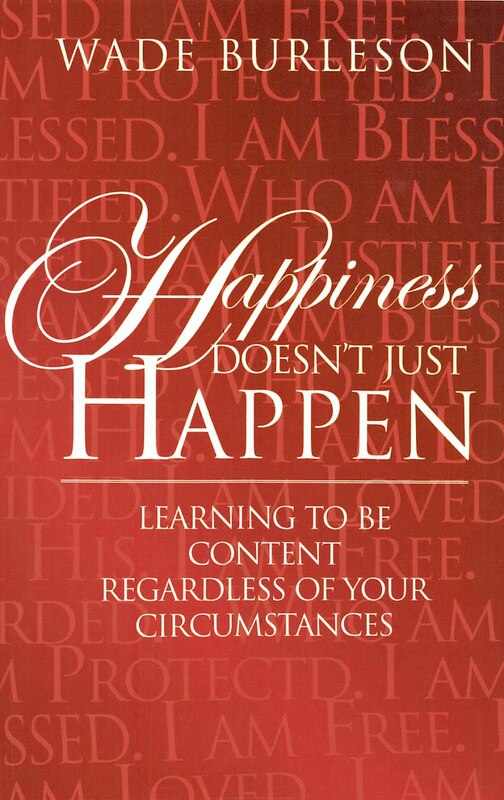 I know life and history have many subtle nuances--but people are motivated by simplicity and clarity, not nuance. I am motivated to help Southern Baptists see that the continual marginalization, disenfranchisment and ultimate separation from people who disagree on various tertiary issues is eating the SBC from the inside out. I have ZERO problem with General Baptists. I have absolutely NO problem cooperating with moderates and people who see issues differently than I. I push back hard against those who do the separating, and the pro-Anabaptist, Landmark, Fundamental wing of the SBC has left a trail of blood as Southern Baptists have been sliced and diced over the past 30 years. Wade, be careful about defending "moderates," especially since many of them deny one or more of the fundamentals of the faith, attack inerrancy, and support abortion and homosexuality. Most Baptist moderates I know are pro-life, pro-marriage, and pro-Bible (like me). They have a tendency, though, to not get bothered by those who disagree with them. Amen to what BDW said. I'm not arguing that the Particular Baptists were closet Anabaptists or anything other than Calvinist. All I'm saying is there is more complexity than the very black and white way Wade has portrayed it. Wade, if you're basing your opinions on their writings without considering the context then your interpretation of what they're saying will be wrong. They may have disagreed with the Anabaptists theologically on certain doctrines, but that doesn't mean the Anabaptists had no effect on them. No Baptists (general or particular) got their belief in Believer's baptism, religious liberty and separation of Church and State from the Reformed. When Baptists, Quakers and Mennonites in the 17th century denied they were Anabaptists it wasn't for theological reasons. That is simply historical fact and not opinion. They denied it because they didn't want to be labelled heretics and incur the wrath of the state. I definitely do agree with you re: the agenda-driven history coming out of corners of SBC life, especially Fort Worth. Here at Baylor, I've been around some actual Anabaptists and a number of aspiring theologians who drink deeply from Anabaptist wells. The Anabaptist emphasis that I see coming from these corners of the SBC, I simply do not recognize. I'm sure Blake will agree. Instead of the popular Anabaptist emphasis on community and peace, we see a militant Anabaptism pushing a strict orthodoxy that always has something to do with authority. It's an Anabaptism defined by men exerting power and control. It's odd. You should try talking to a moderates instead about moderates. Mr. Moderate Baptist Daniel Vestal preached his final sermon as Executive Coordinator recently at the CBF General Assembly in Fort Worth. His sermon was the glory of God. He could have preached that sermon at most any Baptist church in the United States and got some hearty Amens afterward. You wrote: " However, not all the Baptists who signed the 44 Confession agreed with Knollys and he did not speak for them." We do know that Knollys was one of the top tier leaders among the early Particular Baptists and his views were no doubt very influential. Do you know of any other Particular Baptists who responded to Knollys? He published "The Shining of a Flaming Fire in Zion" in 1646. It would be interesting to see if any other English Baptists came out against his work. If they didn't, it's good evidence his views clarifying the 1644 confession were pretty well the standard. You also wrote: "I have already said there was an affinity for the Anabaptists regarding ecclesiology, but these London Baptists had no room for the Anabaptist soteriology." It is more than just an affinity. Due to their common ecclesiology, the English Baptists looked to the Anabaptists and Waldenses as their forefathers. Another example is John Spittlehouse's "A Vindication of the Continued Succession of the Primitive Church of Jesus Christ, now Scandalously called Anabaptists" published in London in 1652. Notice Spittlehouse also rejected the term Anabaptists, but that's exactly who he traced the succession of churches through. Many other examples of this could be given. 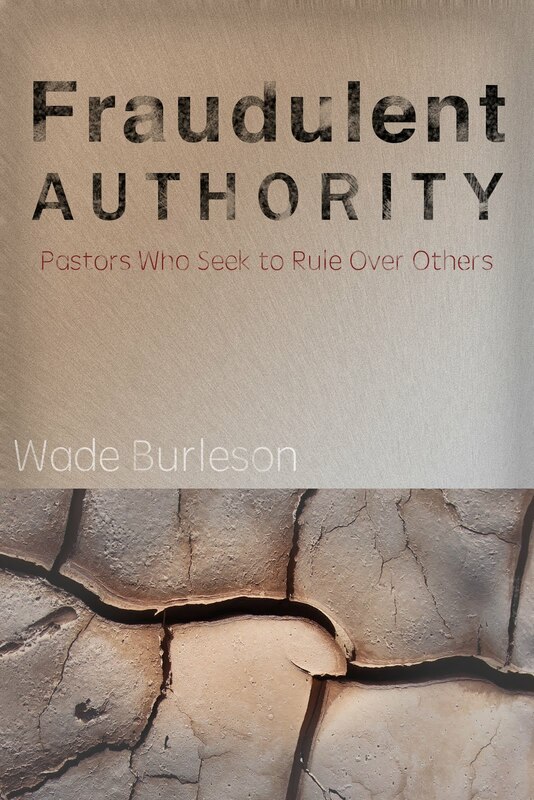 You said:"Wade, be careful about defending "moderates," especially since many of them deny one or more of the fundamentals of the faith, attack inerrancy, and support abortion and homosexuality." It is easy for people to make the statement you made above, but it is simply not true. It is a very broad statement not based upon facts. Once again, I agree with you. The London Baptists had more than an affinity for Anabaptist ECCLESIOLOGY, but I stand by my accurate assessment (of course, in my opinion) that the London Baptists distanced themselves clearly from Anabaptist in SOTERIOLOGY. By the way, I would NOT participate in the distancing from Anabaptist on soteriology were I living in London in 1641. I am only pointing out what they DID THEN in order to cut the legs out from under the table NOW of some who INSIST that that they can speak on the subject of TRADITIONAL SOUTHERN BAPTISTS because they believe that every Baptist should look, act, and believe like THEM. I'm showing that in the beginning Baptists look WAY DIFFERENT than what many Southern Baptists look like now - and that's ok.
We COOPERATE in this day and age. I love reading your blog, but you are very difficult to pigeonhole! You are not moderate, calvinist, charismatic, armenian,or fundamentalist. There's not many more labels I can think of to assign to you! I much prefer a Spirit-filled, Christ-honoring, God-glorifying chief of sinners who believes the Bible, trusts the righteousness of Christ for his good standing with God, and loves people who not only disagree with me, loves those who are the anti-thesis of me, but who has nominal patience with self-righteous religious people or selfish people who make the world revolve around them. Whew! :) That's a big pigeon-hole. If nothing else, this post and subsequent comments have shown that anyone claiming to be a "Traditional" Baptist is likely to miss the mark. This is a great post and discussion. It is informative and the comments are all measured and resonable. I took Baptist History from my mentor and good friend, Dr. Albert Wardin, in 1980. Wade, the argument that you have put forth is consistent with Dr. Wardin's class, from what I can remember. And I identify with your emphasis on things that make you Baptist, rather than being called a "Baptist." I would prefer to be called a "Christian" and leave it at that, and describe the convictions I have. My experience with Moderates is very much like Conservatives. It often depends on the person. The main difference seems to be, to me, whether a theological confession is central to cooperation. We could debate the pros and cons of what might be in the confession here or there, but if the CBF is the embodiment of Moderate life, and it is to me, there has not been any plan in 20 years or any time in the future, to make theological confessionalism part of that fellowship. Hence, for me, it's really hard to run a seminary, send missionaries and such, with folks that won't engage in theological confession as a central premise to cooperation. I don't want to chase particulars because there always exceptions, but the absence of a theological confession is central to me and fatal for my cooperation on many levels - but not for friendship and good relations. It may be a great post, but your comment is greater!